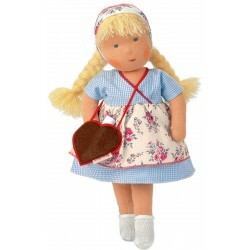 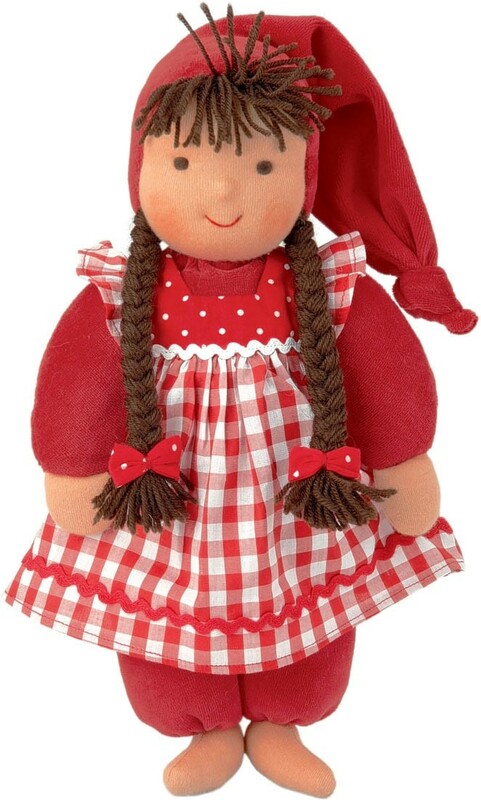 Schatzi Red Sweetheart is a handmade 14 inch Waldorf doll with a soft velour body wearing a red and white checkered dress and a matching hat. 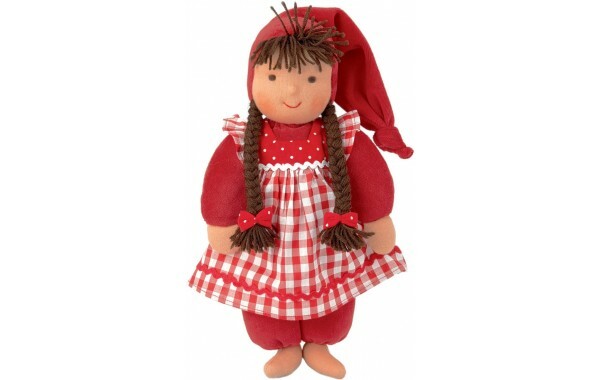 She is made from 100% natural materials, stuffed with sheep's wool and has wool hair. 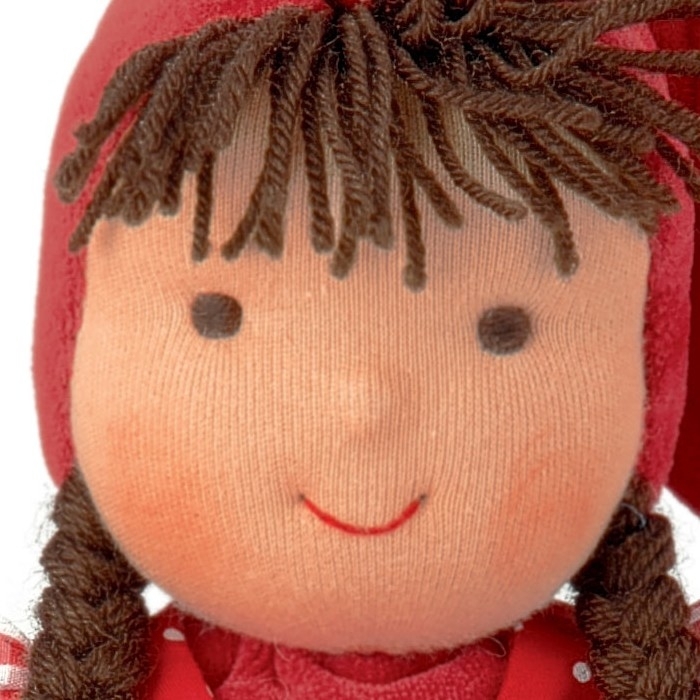 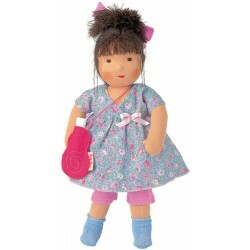 Her face is charming and simple in the spirit of the Waldorf philosophy and encourages imaginative play.